This article is everything I wanted to say, but better, and with academic research and resources to back it up (so I didn't have to go look it all up) and by another law professor. Ha! Amy Chua and Jed Rubenfeld’s The Triple Package, reviewed. It’s not just that Mormons have developed a “pioneer spirit” or that they believe that they can receive divine revelations, as Triple Package would have us believe. It’s more that the first Mormons started with enough money to buy a great deal of land in Missouri and Illinois. They then migrated to Utah, where Brigham Young and his followers essentially stole land from the Shoshone and Ute tribes,refusing to pay what the tribes demanded, and petitioning for the government to remove them. Beyond thousands of acres of free land, early political control over Utah was helpful. The very first wave of Cubans—exclusively white and wealthy or upper middle-class—came in anticipation of Castro’s revolution. This pre-revolutionary wave didn’t suffer “the humiliating sting of becoming menial workers,” as Chua and Rubenfeld suggest; they came bringing their art collections, financial investments, and elite connections with them. For later first-wavers, a $957 million dollar U.S. government refugee program (loans for small businesses, for example) didn’t hurt, though the authors fail to mention this. Why do south Asian Indians earn higher wages? As Triple Packageacknowledges, immigration law has done a great deal of prescreening for a very select cross section of south Asian Indians. A majority of them come on employment-based visas, with higher educations and English skills, to work in high-tech jobs in California, New York, and Chicago. The Indian median incomes come from this group and not the poorer subsequent waves that theTriple Package profiles. Likewise, it’s not that Nigerians “feel they are capable of anything.” More to the point, the vast majority of Nigerians in the U.S. do well in higher education because they are non-immigrants who have come on foreign student visasexpressly to enroll in U.S. schools. Nigerians get advanced degrees in no small part because they need to stay in school to retain their visa. Again, more facts and figures at the ready to back up what we all already knew were illusions. “The Triple Package” boldly takes research findings out of context. In one circumstance, Chua and Rubenfeld rely on the work of researcher Vivian Louie to support their proposition that Chinese immigrants – including those who are low income – possess impulse control, one of the three triple package traits allowing them to succeed and transcend social class to attain upward mobility. 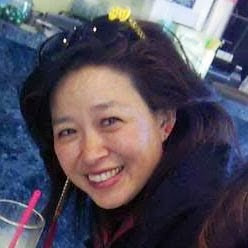 However, a more careful read of Louie’s work indicates that while her working-class, immigrant Chinese subjects would indeed agree that hard work and educational excellence are keys to success, class barriers and lack of social capital in reality can block or impede their actual social advancement. Ultimately, Louie concludes that we need more research “disentangl[ing] immigrant status, race and ethnicity, and socioeconomic status” in understanding social mobility. In their book, their assessment of the historic civil rights movement that freed all Americans to be their best selves and challenged America to live up to its founding principles and realize its promise is willfully, dumbfoundedly clueless. Who could view the photos and newsreels of brave men, women and children, and conclude that the movement took away hope for a “superiority narrative” by striving for equality under the law? Apparently Chua and Rubenfeld. “In this paradoxical sense, equality isn’t fair to African-Americans,” they write. By my friend, blogger Hapa Mama Grace Hwang Lynch, who introduces the new term to the world, "The Chubenfelds"
The Chubenfelds (because, c’mon, that’s how we all think of them, right?) bring up such troublesome facts occasionally – but then plow ahead with their theme of individual grit, a word they bandy about so often, I half expected to see them in cowboy hats on the book cover. Hard work, perseverance, and personal responsibility are important to advancement, sure but they’re also racial tropes commonly used to deflect discussion of discrimination and structural inequality. Nothing here is really new. It feels like a re-hash of Horatio Alger’s rags to riches stories, the Model Minority myth, with hint of The Bell Curve. Jeff Yang's Wall Street Journal article is somewhere, I don't know why I can't find the link right now. And of course we can't forget the very cool Jie-Song Zhang's great challenge to "the most Chinese Mahjong Fukien showdown. Ever." Yo. Tell me how you want it, Chua. We could match fists across the rooftops of a small rural village, the shadow outlines of our battle poses stitched across the cold black fabric of night. We could flying swordfight ballet upon the tops of tallest trees, barefoot or wearing Li-Ning sneakers. We could get down in Chinatown at the corner of Mott and Bayard, with a gathered crowd of elderly Chinese men, all of them squatting and smoking cigarettes as they watch us. Whatever you want to do. We could trade stances and glances in an ancient temple, awash in a thousand beads of candlelight, encircled by bare-headed monks thumbing their beads and chanting. We could shadow-box in the middle of the Stuyversant High School cafeteria, amid a room full of Chinese kids taking the SATs and scoring perfect on the Math sections. We could get real, real Chinese with it.